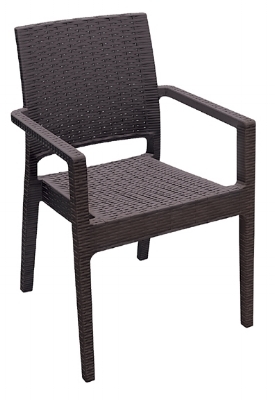 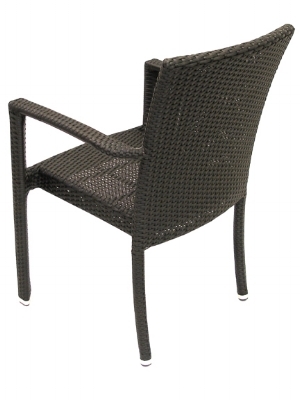 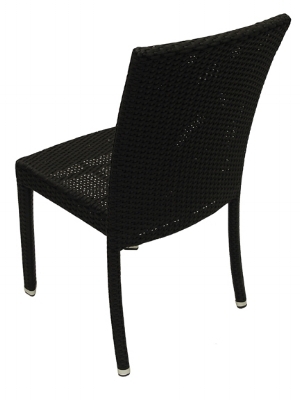 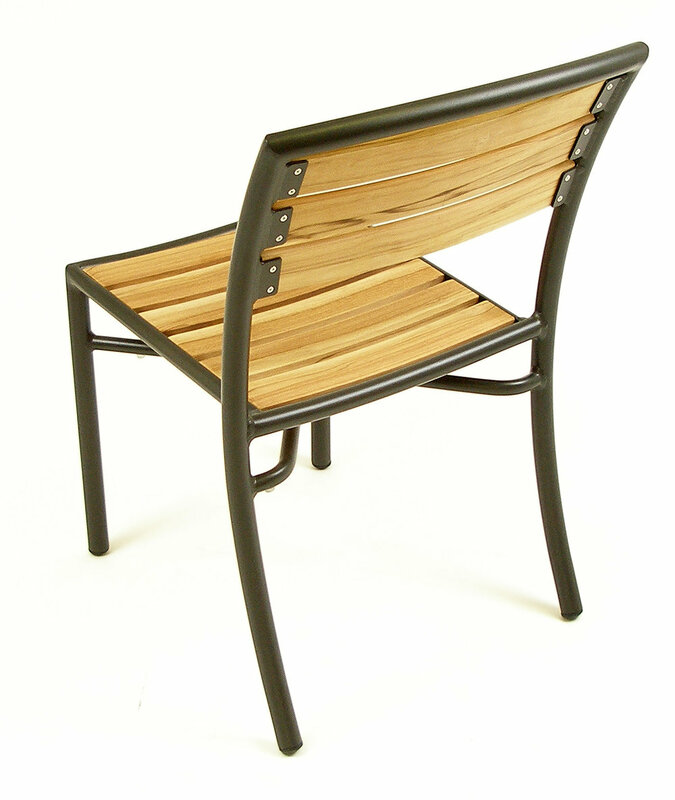 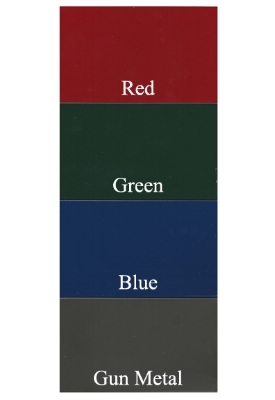 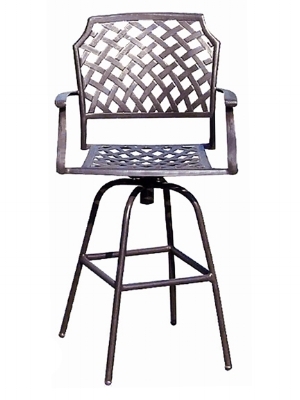 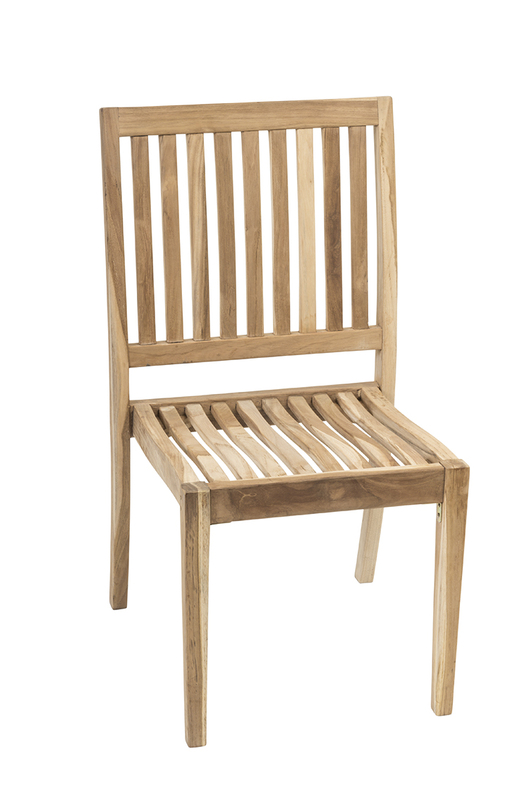 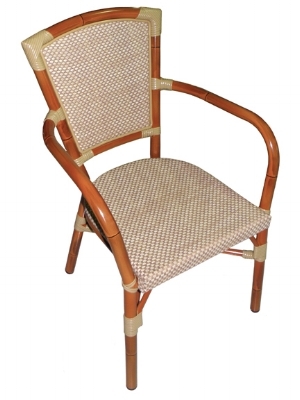 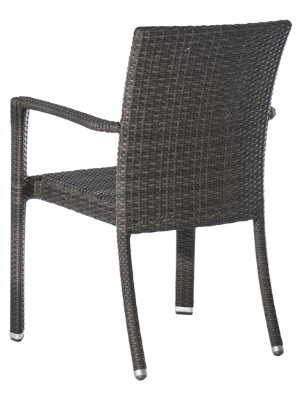 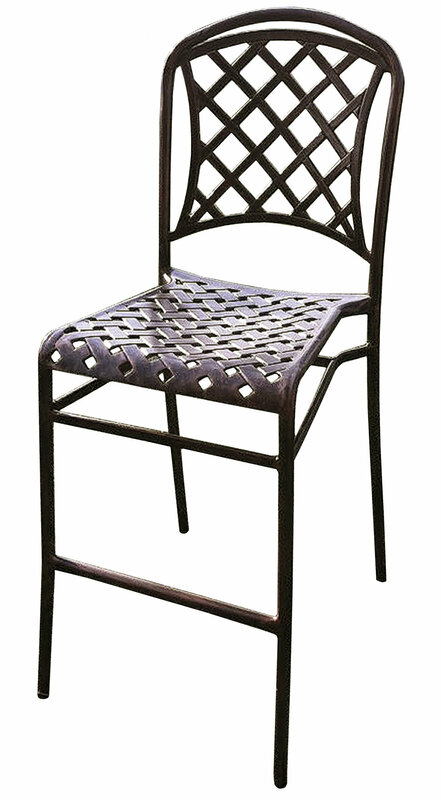 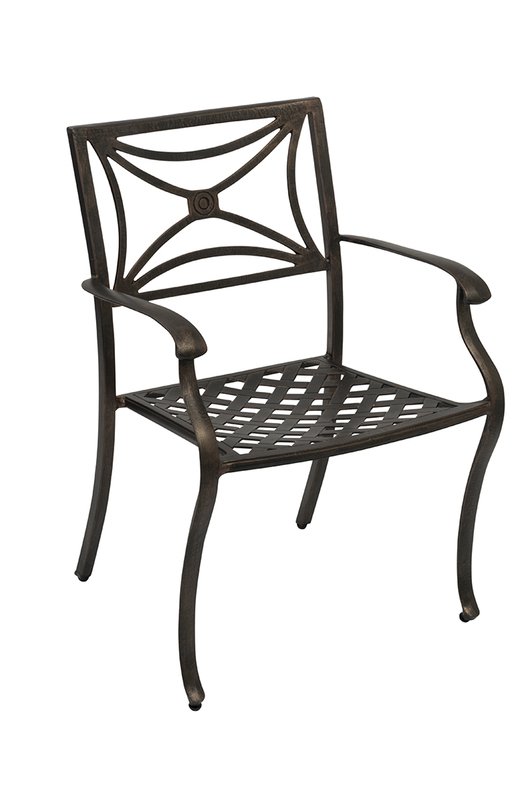 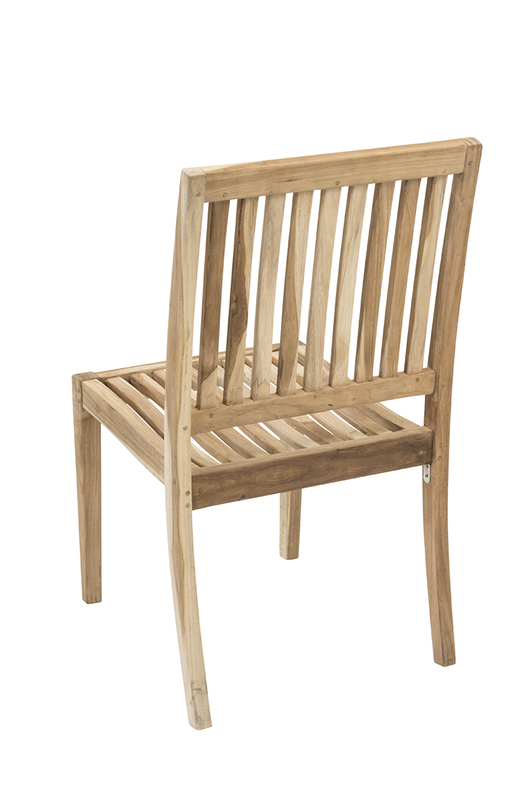 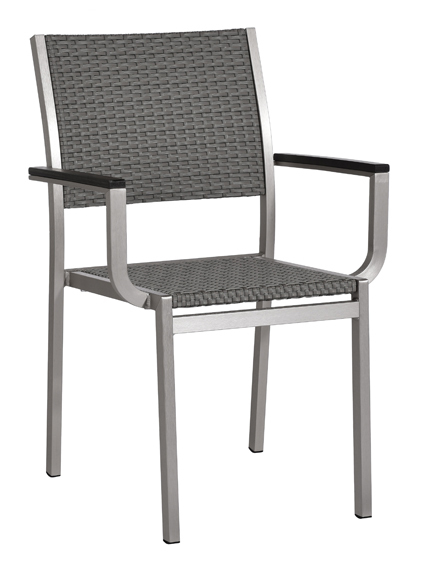 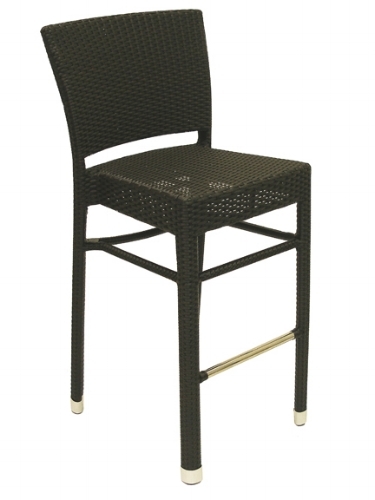 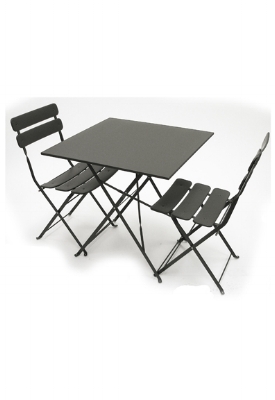 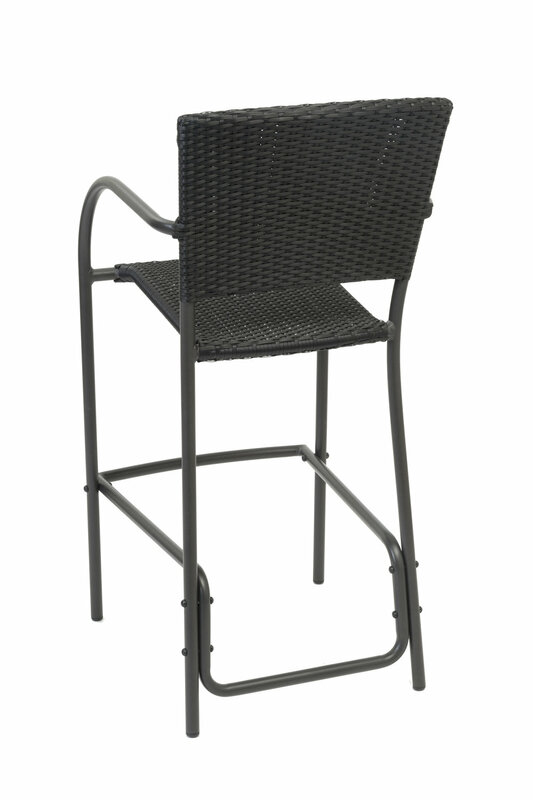 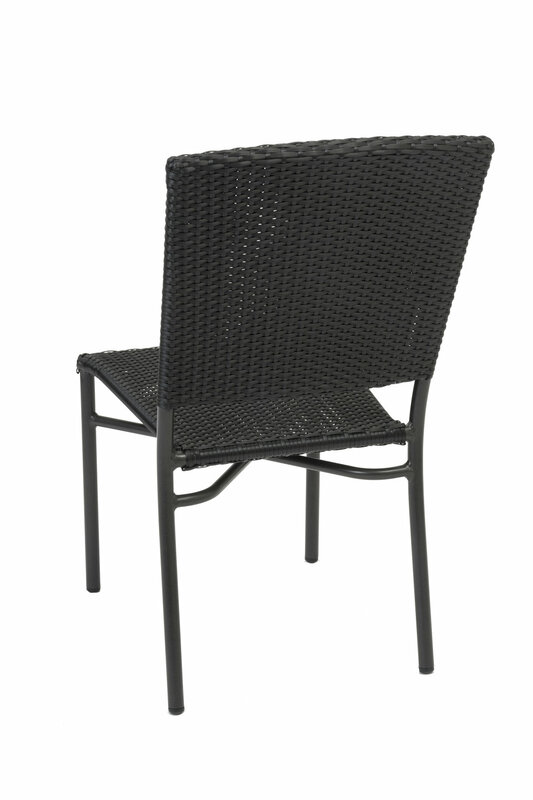 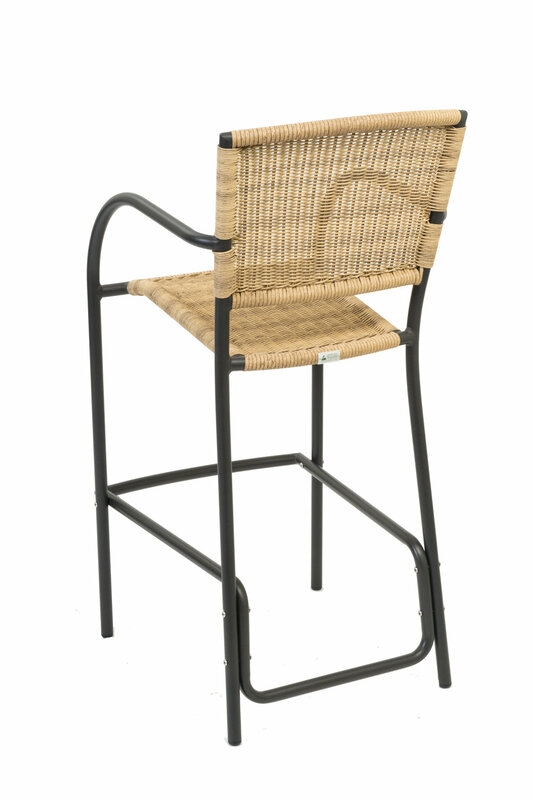 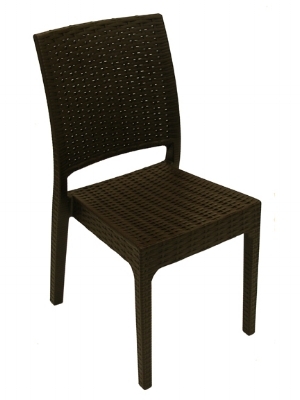 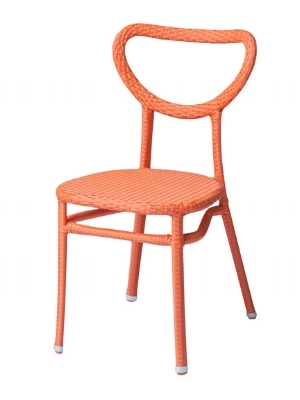 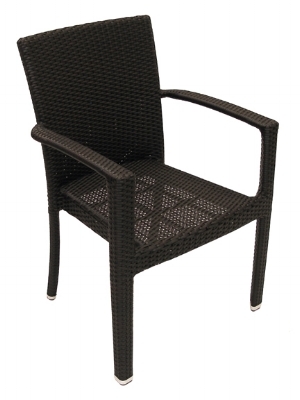 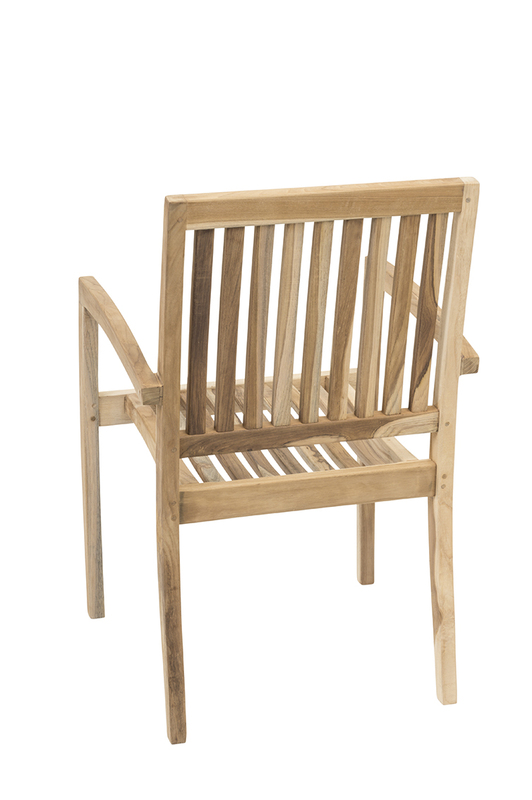 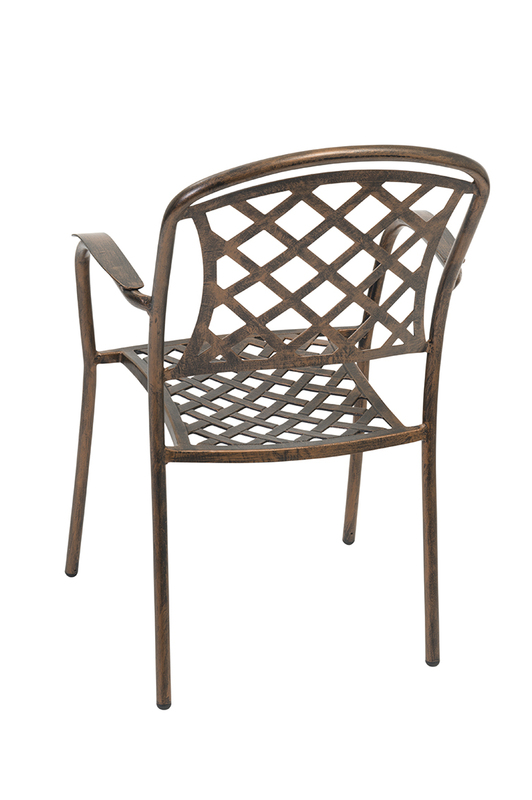 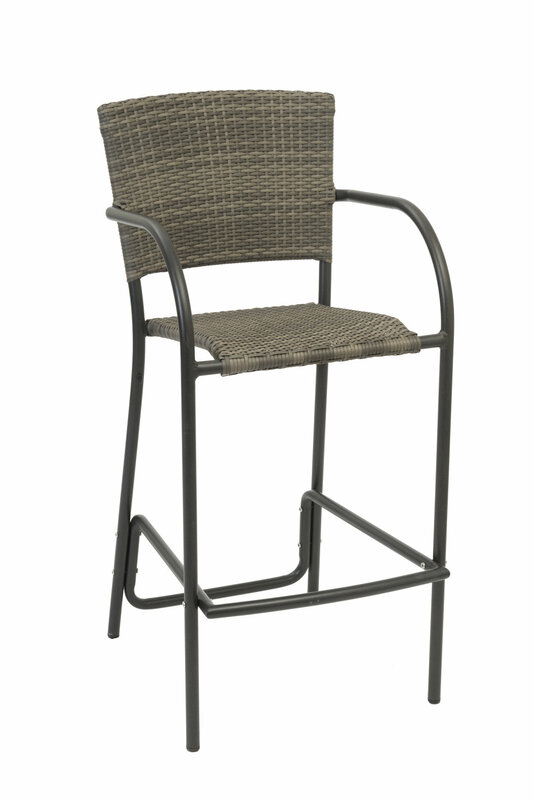 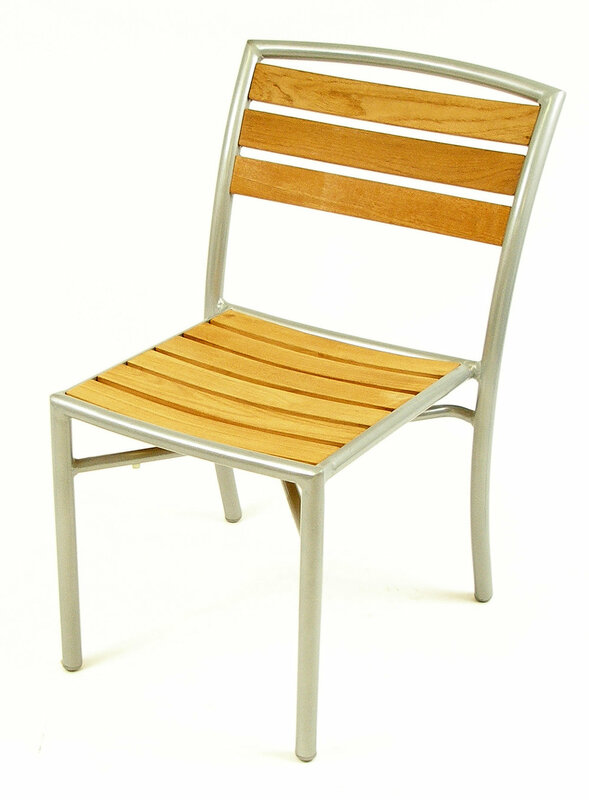 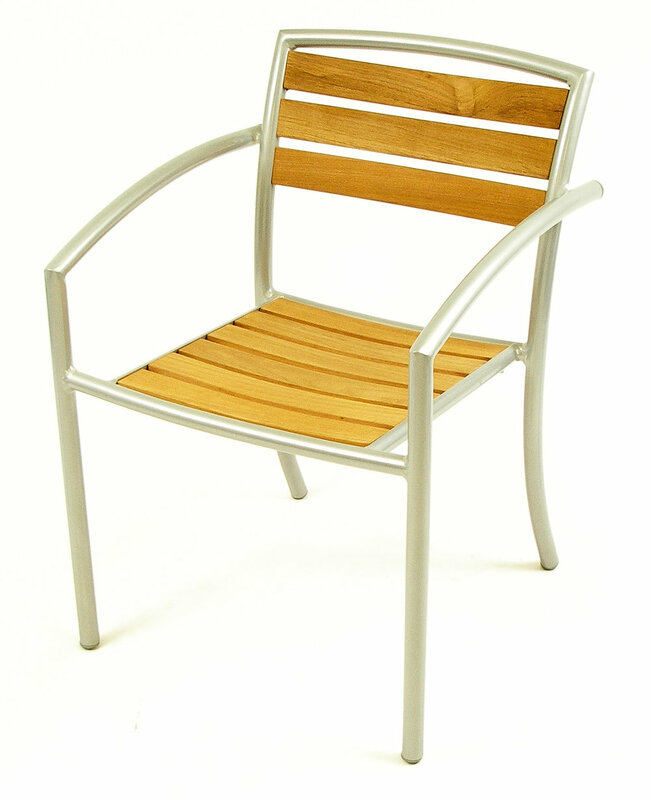 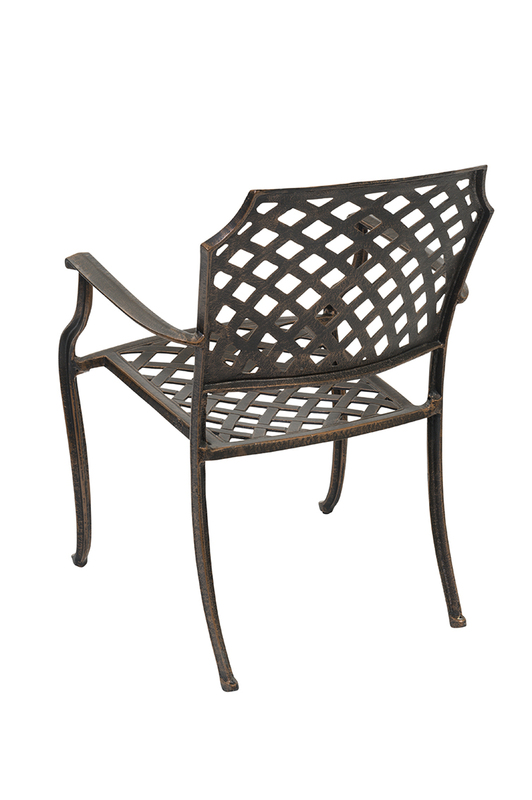 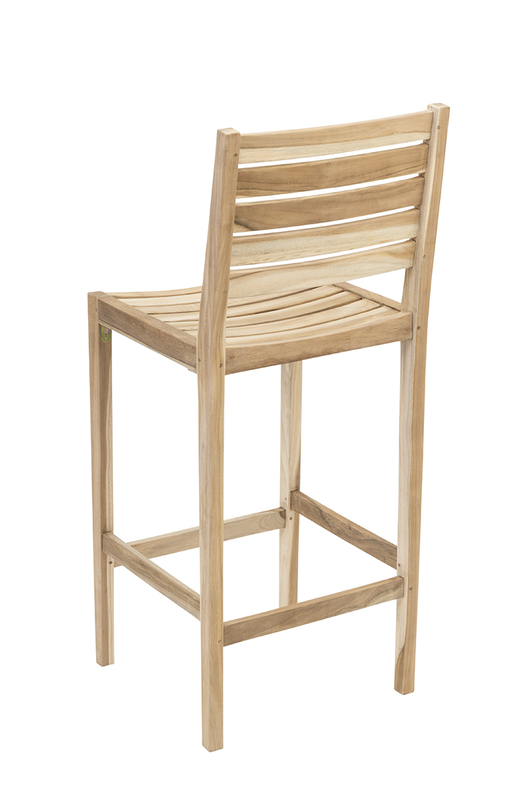 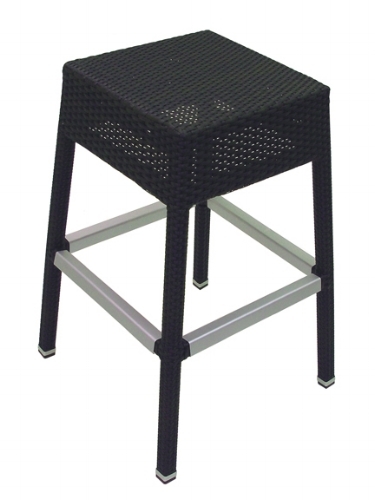 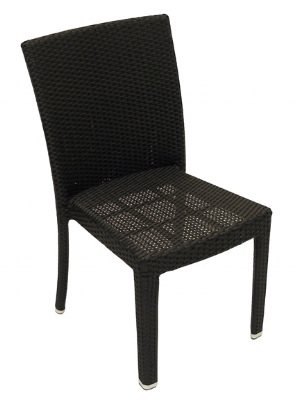 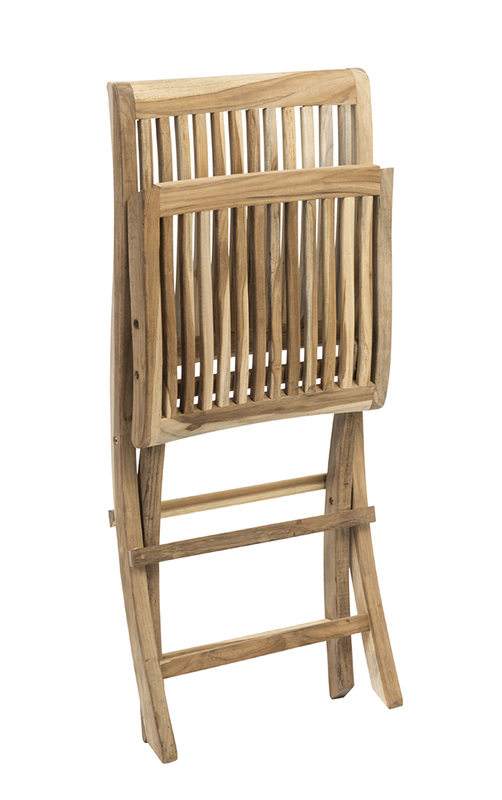 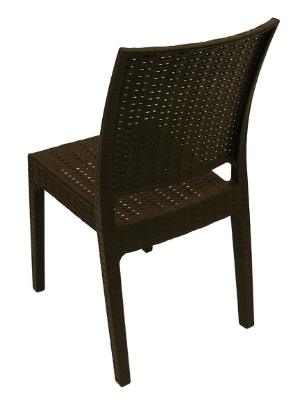 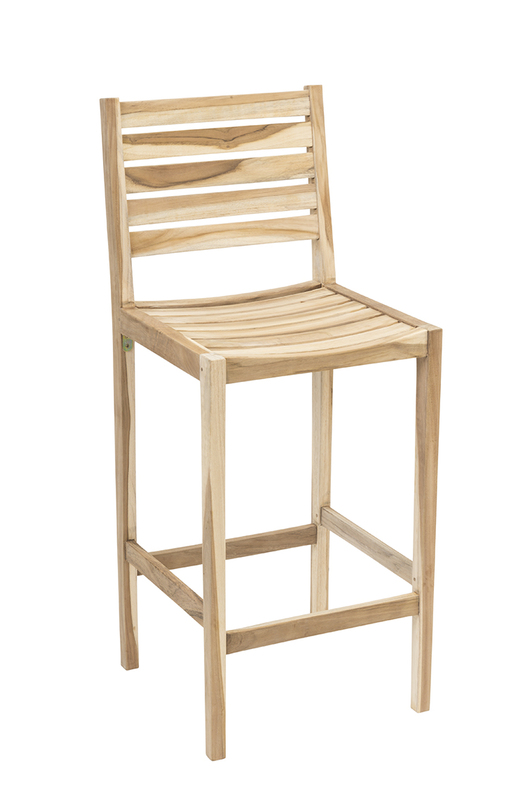 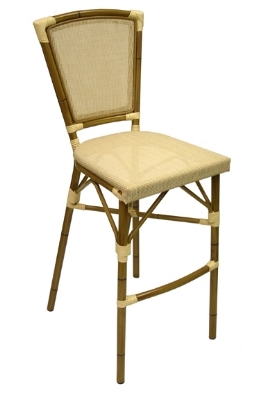 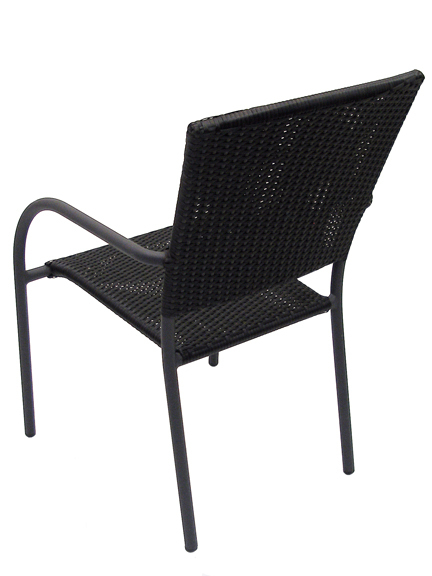 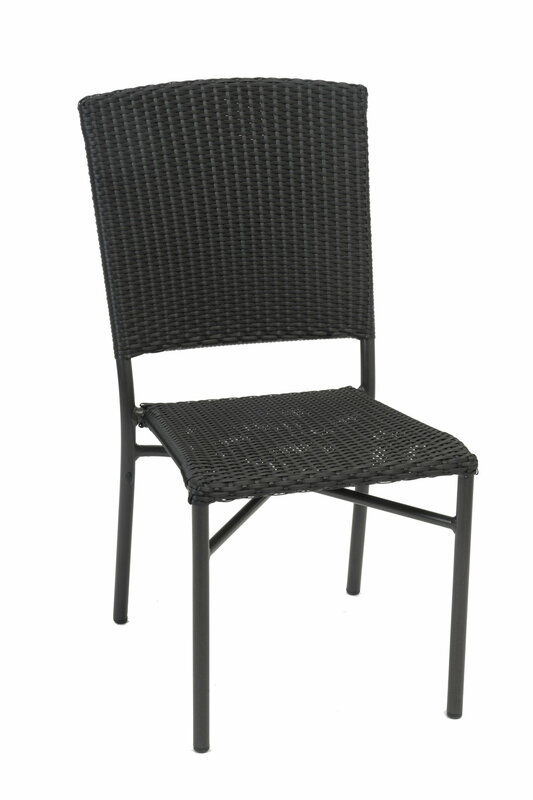 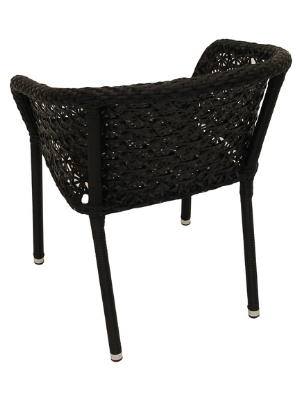 Key West features durable aluminum frame powder coated to imitate rattan/bamboo in a realistic way. 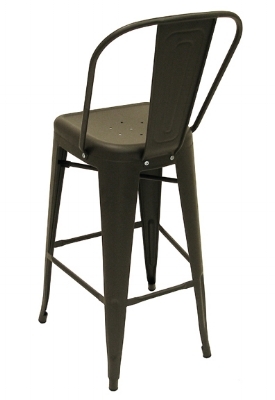 Upholstered with all-weather rip-stop Textylene, Key West will remain comfortable in any weather. 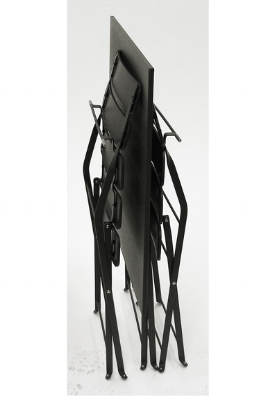 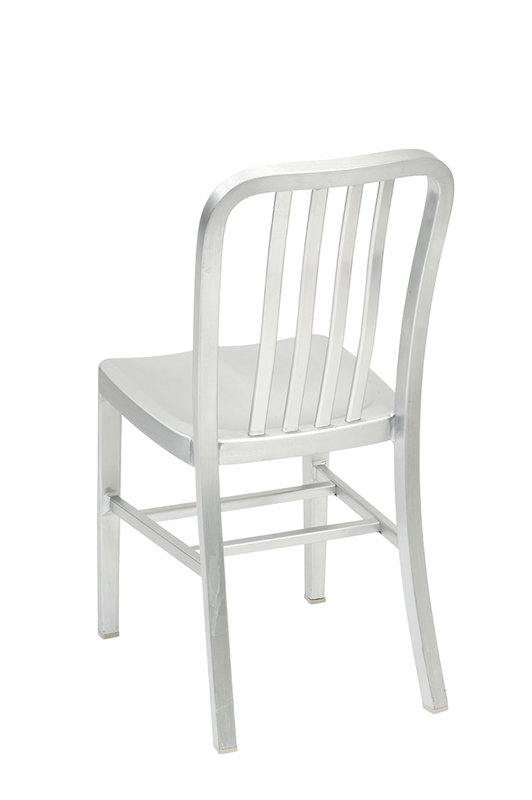 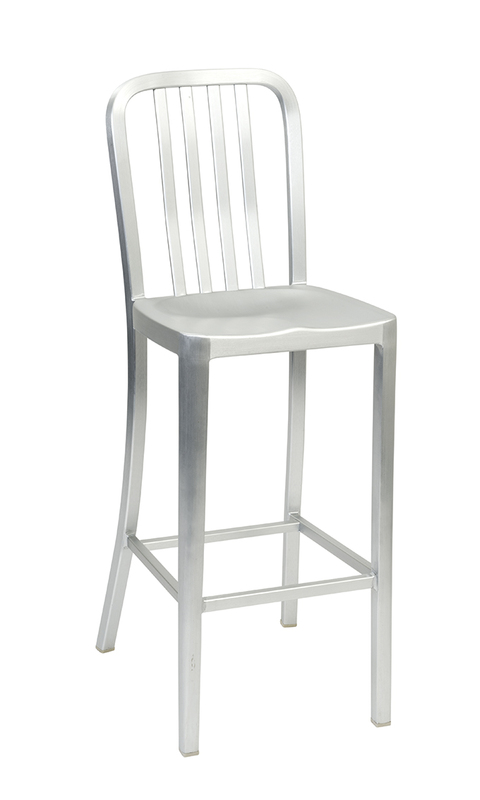 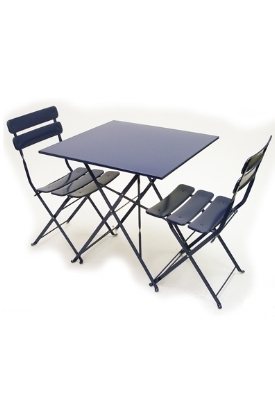 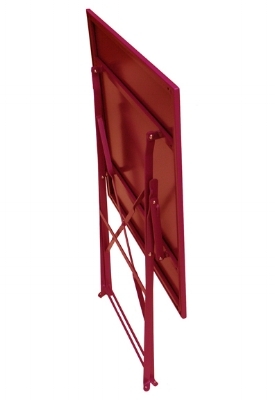 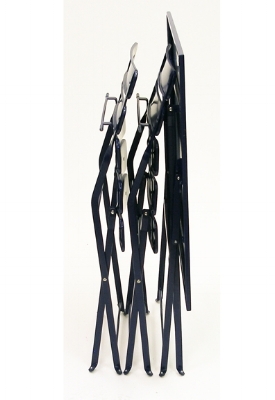 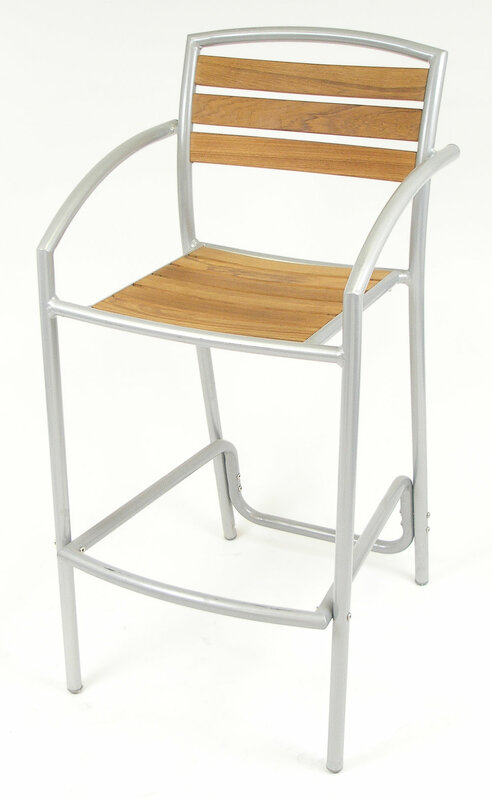 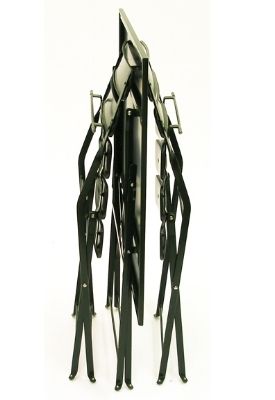 The all aluminum frame provides added strength and comfort, and the unique design assures no metal-to-metal contact when stacking. 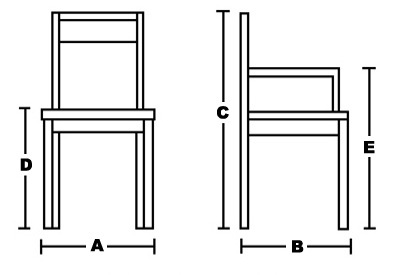 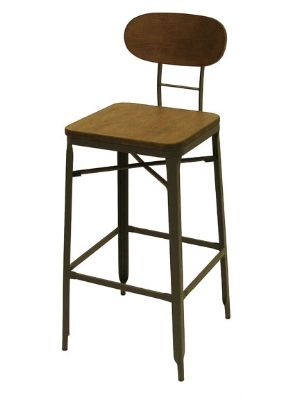 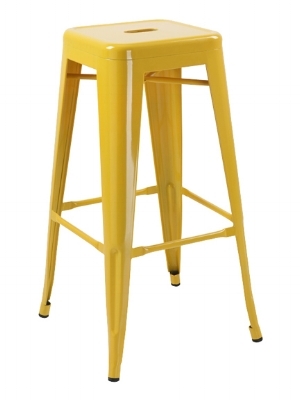 Even the barstools stack up to 4 high. 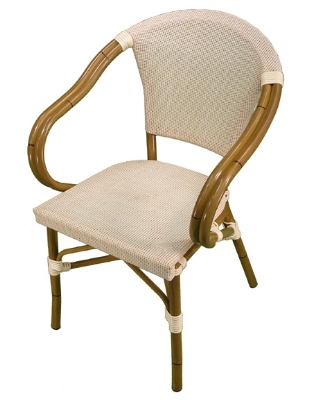 These are in stock in ivory-beige Textylene. 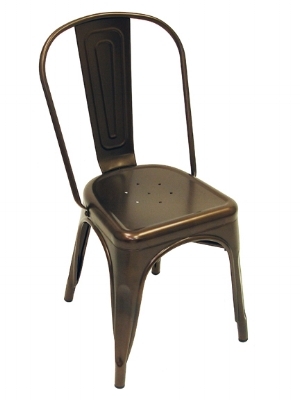 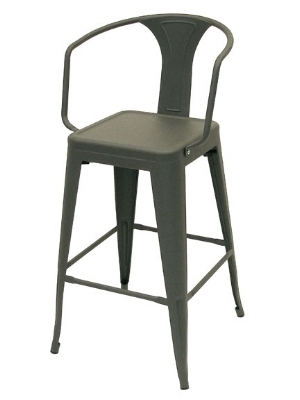 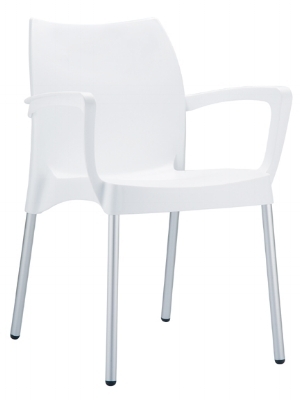 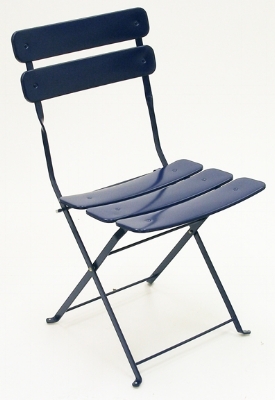 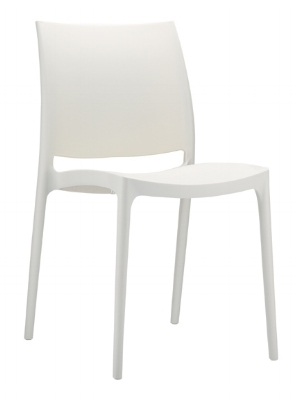 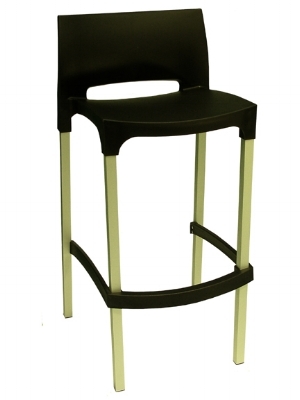 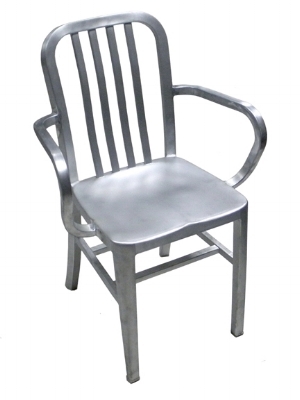 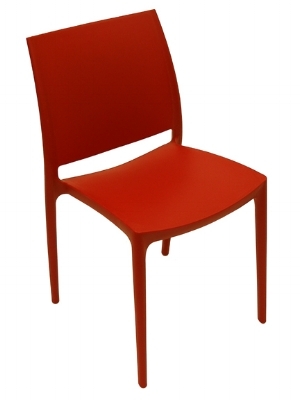 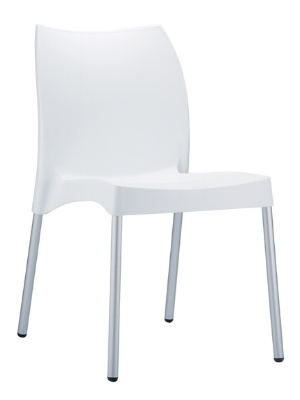 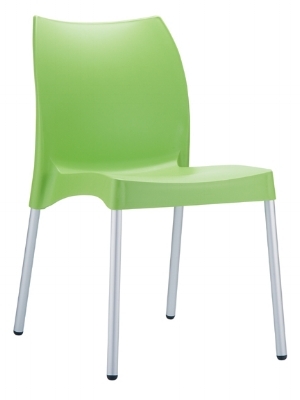 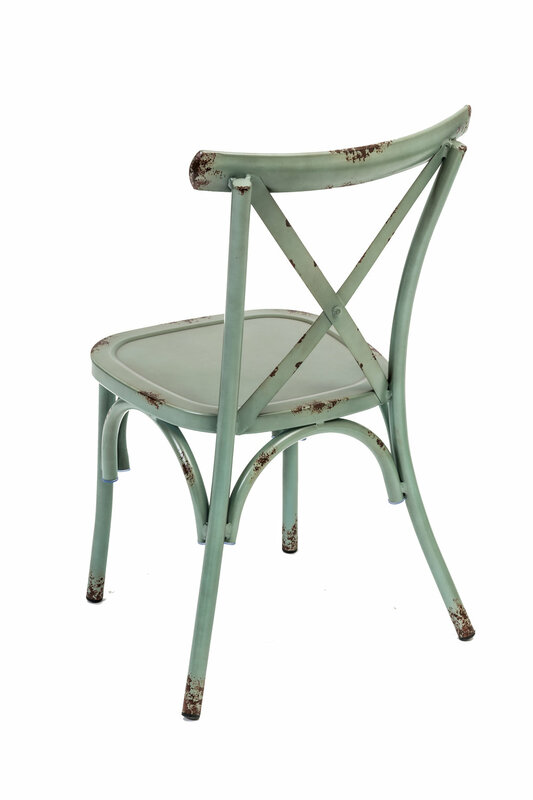 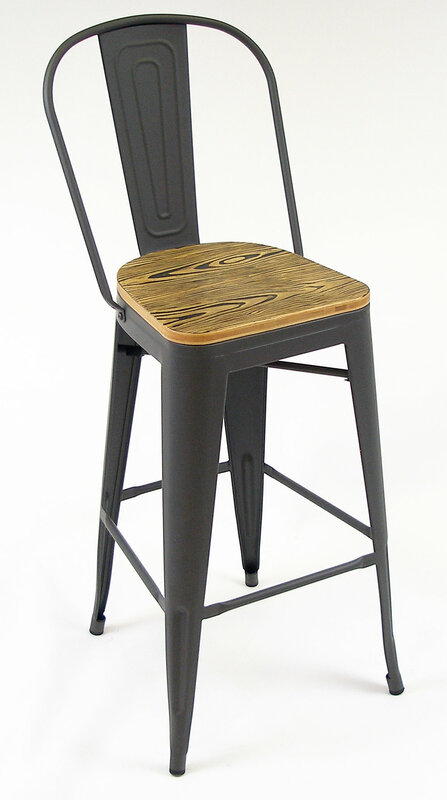 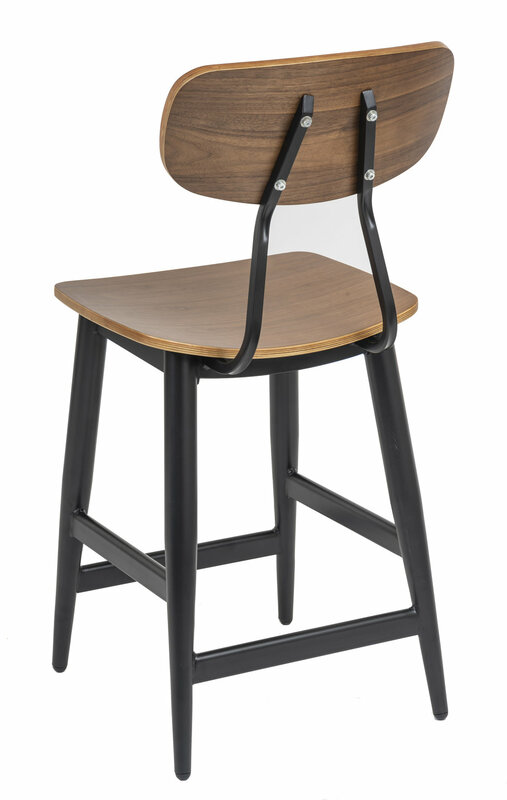 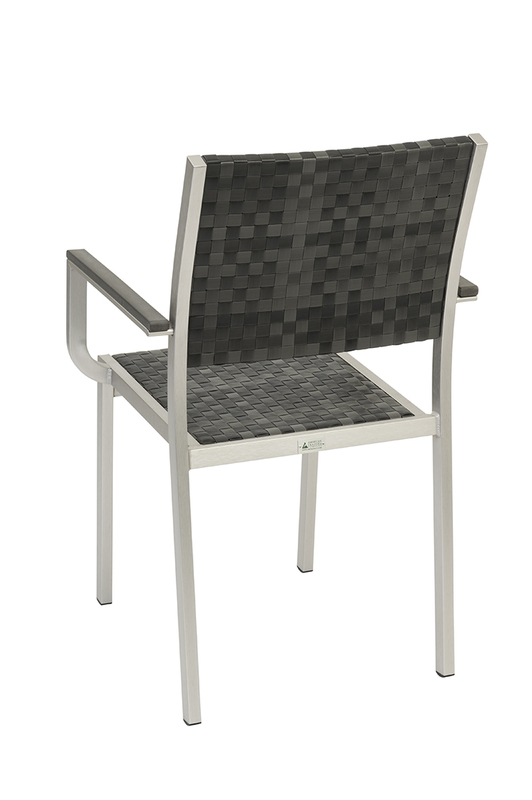 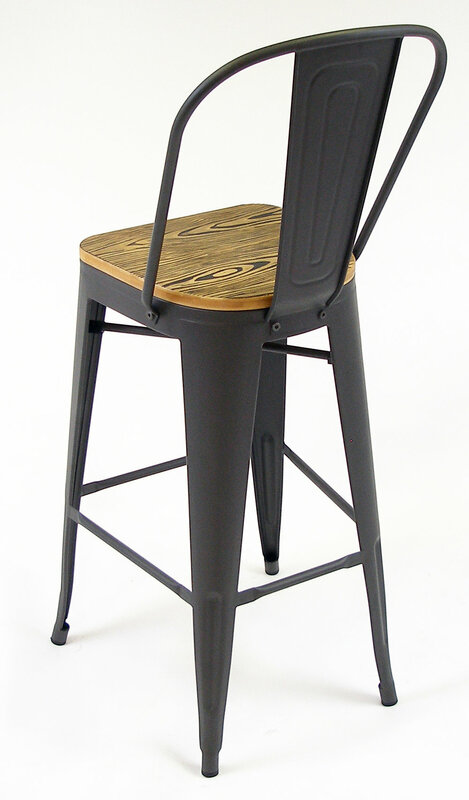 Martinique is a stackable, glass fiber reinforced resin chair.